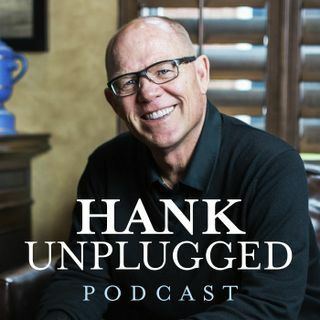 This week, Hank is joined on Hank Unplugged by Andreas Knapp, author of The Last Christians: Stories of Persecution, Flight and Resilience in the Middle East. Andreas Knapp left a position as head of Freiburg Seminary to live and work among the poor as a member of the Little Brothers of the Gospel and ministers to prisoners and refugees. His latest book, The Last Christians, recounts the stories of refugees in his neighborhood and of displaced people in camps in Kurdistan, northern Iraq. This ... See More is a powerful conversation that you won’t want to miss. Topics discussed include: Knapp explains what the Little Brothers of the Gospel society is (3:00); why Knapp left his post as the head of a seminary to live on the margins of society amongst the poor (5:30); Germany’s transition away from Christianity and the need for Christians to stop fighting one another and to unite around the essentials (11:00); how Western Christianity often neglects to understand Eastern Christianity (16:30); the strength of witness when we live our lives like Christ (20:00); the Christian refugees in Germany that inspired Knapp and brought him to the Middle East (26:30); why Knapp titled his book The Last Christians (30:30); the political roots of Islam preclude true democratic development in Islamic countries (35:00); the danger of placing ideology above common humanity (45:30); the use of the fourteenth letter of the Arabic alphabet as a sign of solidarity with Christians suffering persecution (49:00); the problem of Islamic migration without assimilation in the West (51:00); the two competing movements in Turkey today (57:30); the difference between martyrdom in Christianity and Islam (1:01:00); why Knapp wrote The Last Christians (1:05:00).